Vinyl Richy, Talib Kweli ft Greg Nice & Styles P, Wu-Block (Ghostface & Sheek) ft. Jadakiss, Doujah Raze ft. Heltah Skeltah, Ras Kass and more. 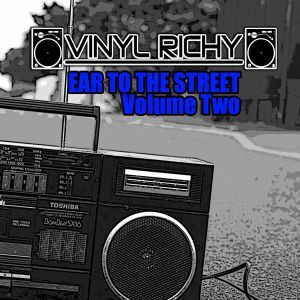 This is volume two of my line of underground hip hop mixtapes titled "Ear To The Street". These mixes are all new records from strictly raw, dope independent hip hop artists!